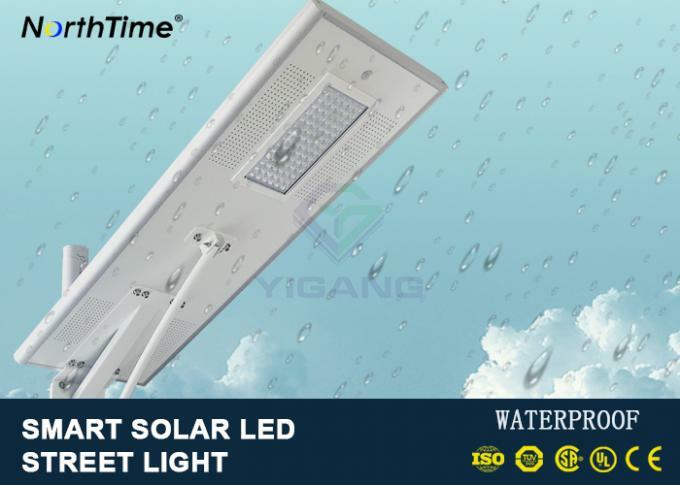 Nowadays, there are some solar lighting products using low-end material parts as high-end products to deceive consumers on the market. We are a professional all-in-one solar street light manufacturer, Quality guarantee, Imported environmental light material, provide best quality, do not harm to cooperate image. 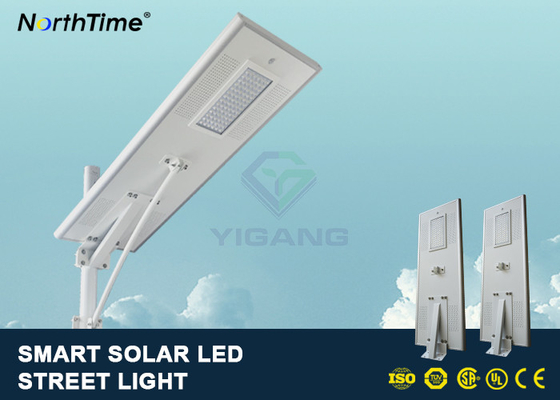 All-in-One Solar Street Light integrates the 3 green energy elements solar panel, high brightness LED lamp and large-capacity lithium battery into one single product. 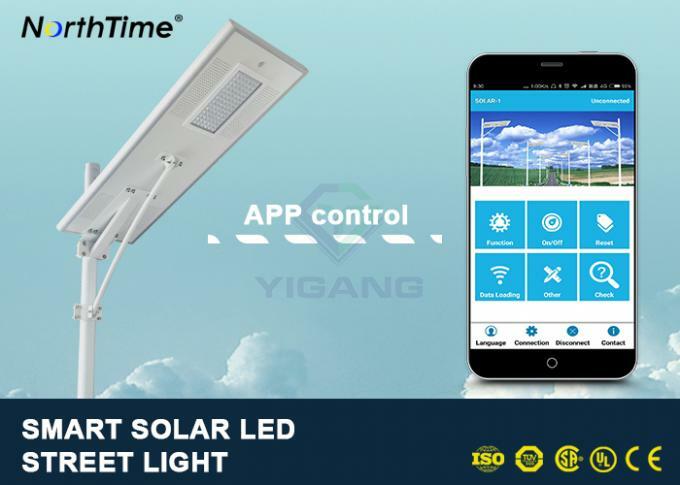 The solar panel converts solar energy into electricity, the intelligent controller stores it in the lithium battery, and the LED light will be supplied with electricity for working automatically when it is dark. It built in PIR motion sensor endows the lights with low power consumption, high illumination, free maintenance and long lifespan. Easy installation and convenient for transportation. 1) Long discharge time: over 15 hours with full power, over 30 hours with half power, can last 4-7 rainy or cloudy day. 2) Easy installation: No electricity required, no cables required, easy installation. 3) Solar panel: We use Germany brand Solarworld efficiency monocrystalline silicon solar panel, its efficiency can reach 22%. Another kind of solar panel is United States brand Sunpower efficiency mono crystalline silicon, its efficiency can reach 22%. Lifespan is 25 years for solar panel. 4) MPPT Controller: developed by our engineering team. The stability and functionality of our controller is the leading level in the industry. we has applied to the patent successfully already. Our controller’s conversion efficiency can reach 95%, while the average efficiency of the whole market only reach 60% -70%. Our controller’s lifespan is 10 years. 5) Lithium battery: LiFePO4 battery, environmentally friendly, lightweight, be set up inside the lamp to avoid being stolen. Security, heat treatment, the lifespan is more than 5 years. (1) Motion Sensor Mode: Light on at dusk, light off at dawn auto. Full power lighting when a human walk in the sensors range.30% power lighting when a human walk out. (2) Dimming Mode: Light on at dusk, light off at dawn auto. Programmed lighting way. (3) Time Control Mode: Light on/off at anytime. (4) Mobile phone APP control Mode: through bluetooth connect, which can set 7-10 raining days and detection, maintenance etc additional functions. For all kinds of roads, residential areas, courtyards, gardens, schools, hospitals, car parks, factories, golf courses, green belts, etc. 1) Reply your enquiry in 24 working hours. 2) Well-trained and professional sales & after- sale services, we can do everything to meet your needs. 3) OEM & ODM services are available. According to the customers requirement, we can print company LOGO, change the light parameters, etc. 4) Samples are prepared. Discounts are offered based on order quantities. We welcome new and old customers from all walks of life to contact us for future business relationships and mutual success.